The new Acer Aspire V5 laptops series are V5-171, V5-531, V5-571, V5-571G, V5-572, V5-572G, V5-431, V5-121 are known for how thin they are. This slim feature of the Aspire V5 series makes them quite easily breakable when dropped. The Acer Aspire V5 laptop screen area are very easy to disassemble and are also straightforward when installing a new screen on them. 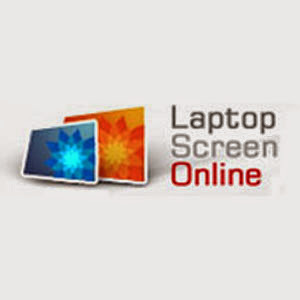 This instruction below will help you in replacing the cracked, dark or defective screen on the Acer laptop. Follow this instructions very carefully. The video is also embedded at the bottom of this instruction. 1. Remove the battery of the Acer Aspire V5-171, V5-531, V5-571, V5-571G, V5-572, V5-572G, V5-431, V5-121 laptop notebook. This is very important because failing to do so may result in damage of the motherboard. 2. Remove the Acer laptop bezel. The Aspire V5 series do not come with any screws on the bezel so simply use a removal tool or your hands to open and remove the feel carefully. 3. At the top and bottom side of the screen panel you will find the screws holding it down. Unscrew them and keep them safely. 4. At the back of the screen you will then find the screen display ribbon cable and also the screen part numbers. Part numbers can be any of the following; B156XW03, B156XW04, LP156WH3, LTN156AT20, N156BGE-L41 Rev C1 or C2. 5. Carefully find the connection of the screen cable and the transparent tape holding it down. Remove the adhesive tape and then disconnect the cable. Then remove the screen from the laptop. That is how easy it is to disassemble the Acer Aspire V5 series monitor. Leave your comments below or go to Laptop Screens Google Plus community to find more help.